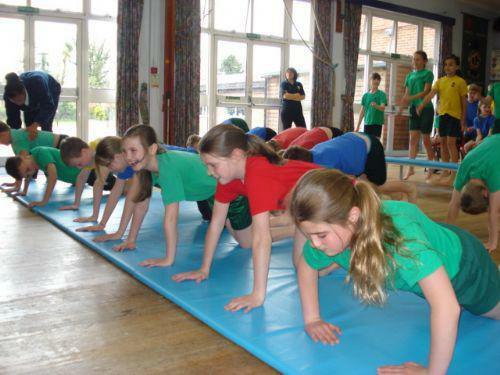 On Monday 23rd April all the children took part in their own sponsored fitness circuit run by Sports4Schools. They had to do spottydogs, leg drives, press-ups and star jumps, all for 1 minute each. They were very lucky as they had GB International gymnast Danny Lawrence visiting on that day. He not only helped them with their circuits but gave an amazing demonstration of his skills and answered some of their questions. Total sponsorship is now over £2000.